Sometimes interesting fall photos aren’t about the vibrant colors of the trees or everyday seasonal events, but beauty that can be found in the changing weather. 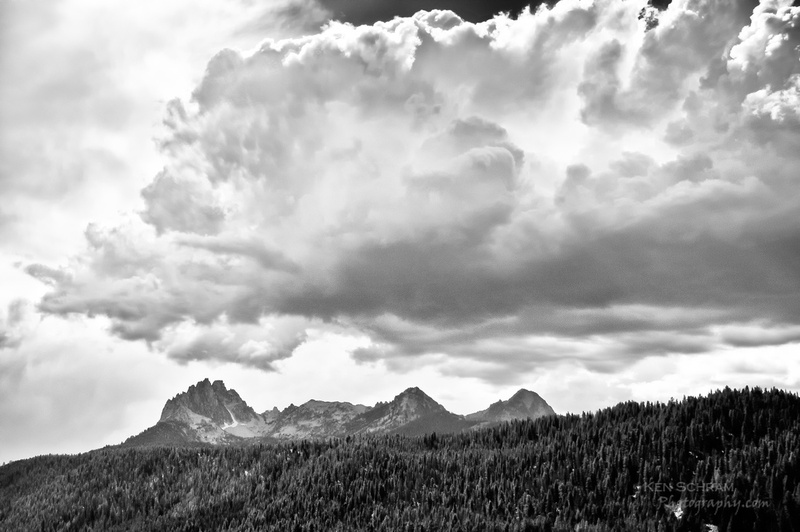 This giant storm cloud above Mount Heyburn of the Sawtooth Mountain Range in Idaho made for a dramatic scene even without the fall colors. 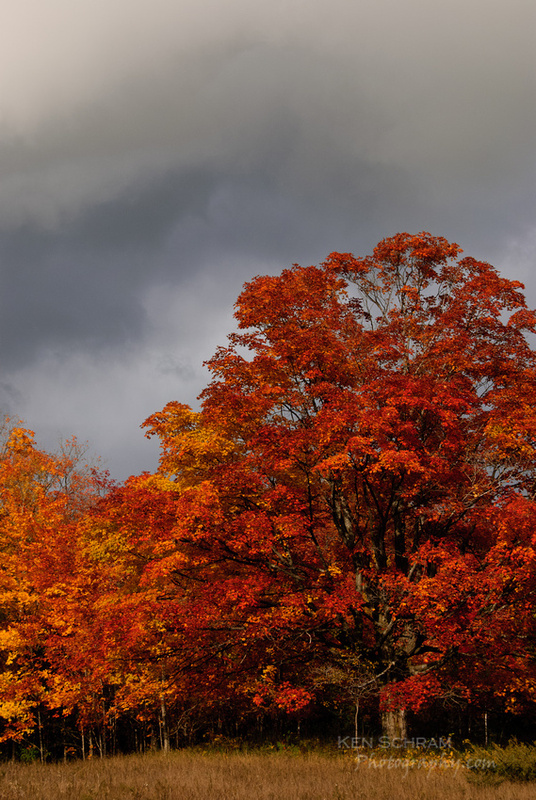 The fall colors of this giant maple tree are even further offset by the dark autumn clouds rolling in from behind. You can almost feel winter in the air!